All are welcome at the 25th Annual Mariposa Pow Wow on May 11-12, 2019 at the Mariposa County Fairgrounds in Mariposa, California. 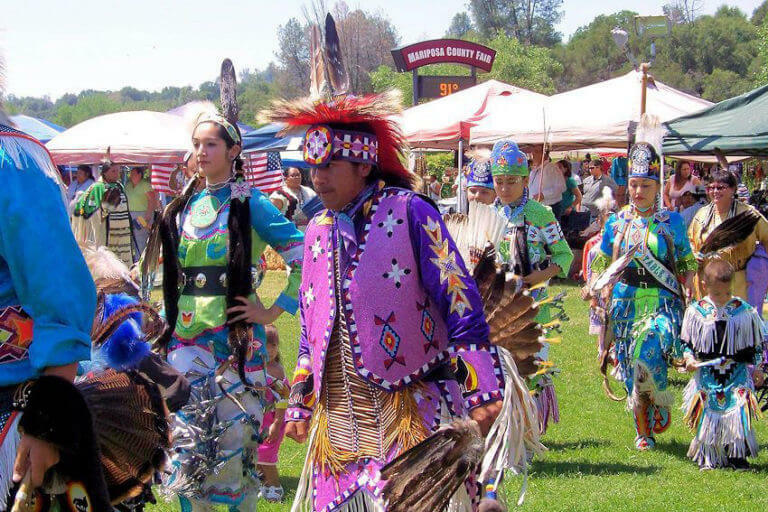 Once a year the American Indian Council of Mariposa County (AICMC) – aka the Southern Sierra Miwuk Nation – organizes a traditional Native American celebration. To most people this celebration is known as the Mariposa Pow Wow but, to the Southern Sierra Miwuk Nation it is known as Chi-Tock-Non Kote-U-Pu – a drug-free, alcohol-free, smoke-free Spring Celebration.